Where to Dine in Abu Dhabi! The food scene in the capital city of the United Arab Emirates has gone through a mind-blowing transformation. Before the introduction of international cuisine, there were only a handful of options to choose from, but now, everything has changed. Abu Dhabi has become home to a myriad of international restaurants that offer a wide variety of authentic cuisines for its residents. Now, the capital’s food scene caters to various tastes and flavors, becoming comparable to that of Dubai, even competing with it! Also, with the growing demand for organic, as well as homegrown ingredients, restaurants are updating their menus to meet these expectations. Thus, contributing to the overall growth of the Abu Dhabian culinary scene. Here is our guide to help you explore Abu Dhabi’s food scene! 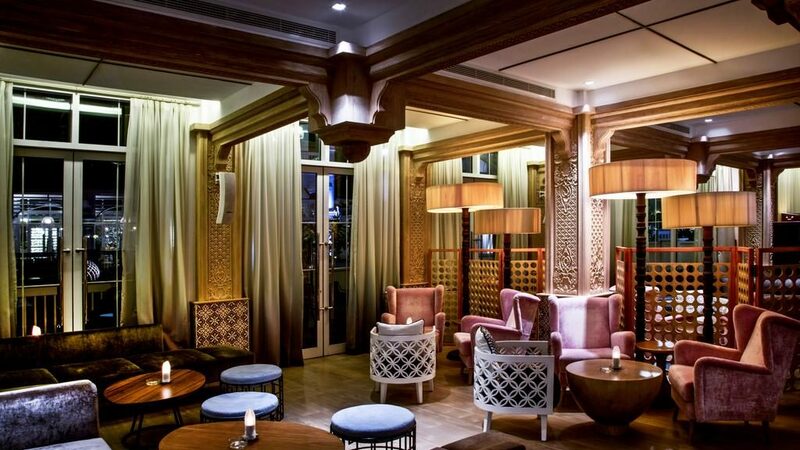 Situated on the beautiful Corniche, Asia De Cuba is one of Abu Dhabi’s main caterers of international cuisine; the restaurant offers a fusion of Asian and Latin food that is finger-licking good. It is a beautiful place with delicious food, fantastic drinks, and amazing vibes. The restaurant has branches in two of the world’s food capitals, London and New York, so you know that foodies of the UAE capital are in for a delish ride. The interiors are picturesque with a heart-warming bar sparkling with romantic candlelight. There is also an outdoor area that overlooks the deeply-soothing Arabian Gulf. The winner of last year’s Time Out Abu Dhabi title for Highly Commended for Best Chinese, Shang Palace, is the place to go if you’re looking for authentic Chinese food. 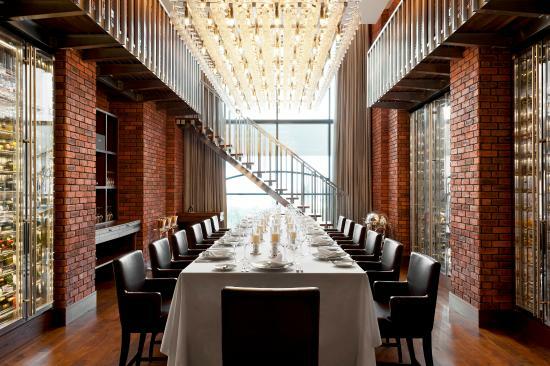 The restaurant is one of the few places that gets the true spirit behind traditional Chinese cuisine. Inside the beautifully-designed restaurant, you can indulge in a wide variety of appetizers and dishes. For appetizers, I highly recommend the fish cake, which has been a part of traditional Chinese dinners for centuries. As for your main, you have to try their signature dish, the roasted Beijing duck with pancakes and condiments, which is to put it simply, is out-worldly. Named after the original branch’s address, which is conveniently located at 55 & 5th avenue in St. Regis, New York, the Manhattan-style steakhouse offers a taste of indulgence into perhaps the best steaks in the UAE. In this authentic Italian restaurant, meals are made with love and cooked to perfection. Cipriani is a high-class eatery that is well-known for its traditional recipes that are steeped in Italy’s history, as well as its out-worldly taste. The restaurant brand goes back four generations in the Cipriani family with the original famed Harry’s Bar first opening its doors in 1931 in Venice. Their branch on YAS Island Abu Dhabi flies fresh produce from the heart of Italy to your table. Here is a fun fact, the famous Italian dish, Carpaccio Alla Cipriani, was invented by Giuseppe Cipriani Sr. in 1950. So, it seems that the best place to have this dish would be there! 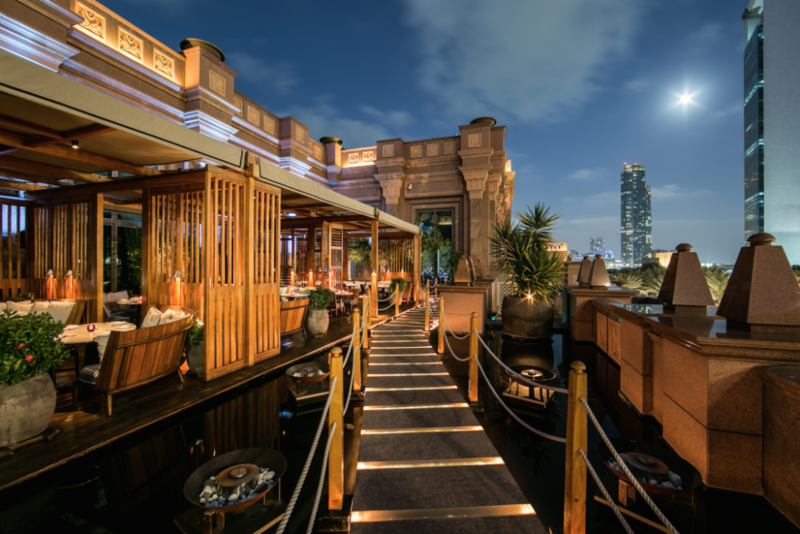 The UAE’s capital city has a craving for Asian food, and it is not uncommon to find several high-end, authentic Cantonese venues. 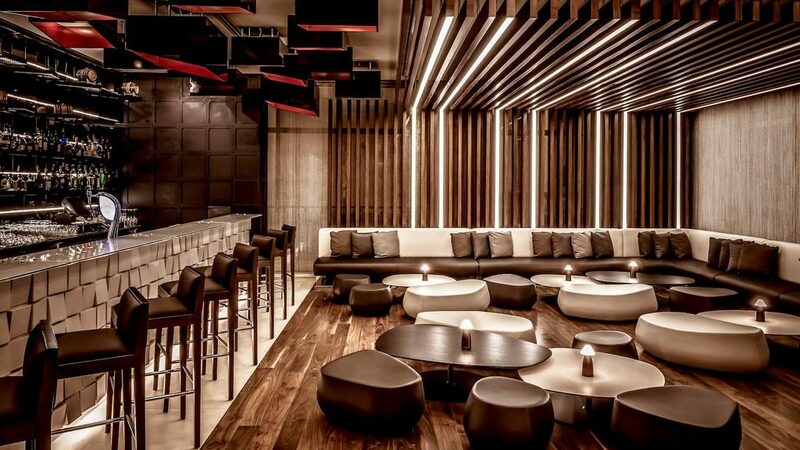 Hakkasan is an international food phenomenon that has its roots in London, U.K. The Michelin-star restaurant combines luxurious design, Asian contemporary ambiance, respectable service, as well as tasty Chinese food. It’s a foodie’s heaven! Voted the 77th best restaurant in the world, Zuma, the creation of Chef Rainer Becker, is the UAE’s leading Japanese cuisine caterer. The restaurant has branches in three cities, thus, spanning three continents, which makes it, perhaps, one of the few places where one could have a true Japanese experience. Although it has another branch in Dubai, Abu Dhabi’s Zuma has a more natural vibe that gives it the hallmark of an authentic experience. Their “gindara no saikyo miso yaki” comes wrapped in hoba leaves with the cod itself melting your taste buds; a perfect meal for Japanese cuisine fans. A seafood specialist, Finz offers a variety of options for fish and crustaceans served in a laid-back atmosphere. 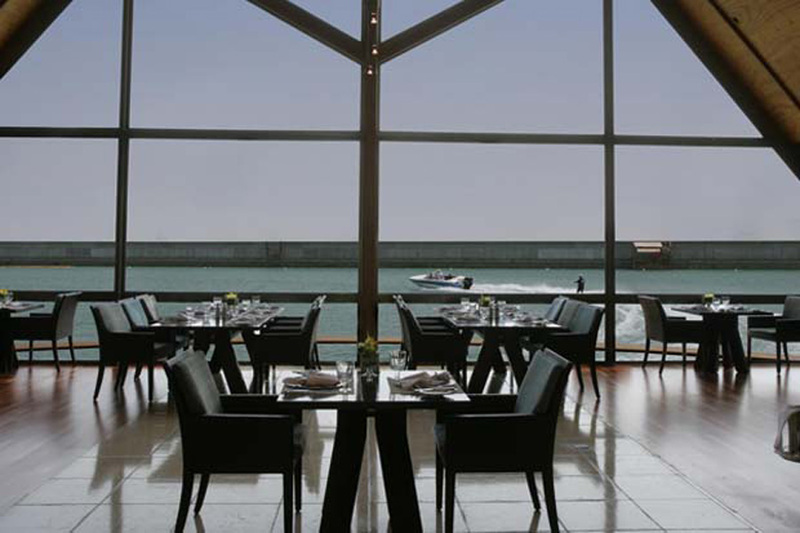 The restaurant is located on the beach overlooking the sea and Al-Reem island. The menu mainly focuses on seafood with a myriad of cooking techniques from wok to Tandoori, in addition to more traditional dishes, such as their incredible sea bass in salt crust. There are also a number of appetizers that go very well with the menu. Situated on the Saadiyat Island, The Beach House is one of the most-experienced joints that offer Mediterranean cuisine. The restaurant has a beautiful view over Saadiyat beach, which becomes even more magnificent during sunset. It is one of the most romantic places in Abu Dhabi. The food there is always fresh and cooked to perfection while the staff is very friendly, giving the guest an authentic experience of well-made Mediterranean cuisine. Here at Boa Steakhouse, it is quiet and casual; a perfect spot for you to park yourself for a couple of hours as you embark on one of your most tummy-pleasing food journeys. Also, if you choose to be seated by the outdoor deck, you will get to have a firsthand view of the city’s landscape and the beautiful mangroves park. The set menu is quite relaxed as each course is brought to your table, without having to make it to the main buffet every time. Every course is a dive into a delish food experience that you must go through as long as you’re in Abu Dhabi. WE SAID THIS: Abu Dhabi’s food scene is truly underated, when in reality it is one of the most delicious in the UAE!